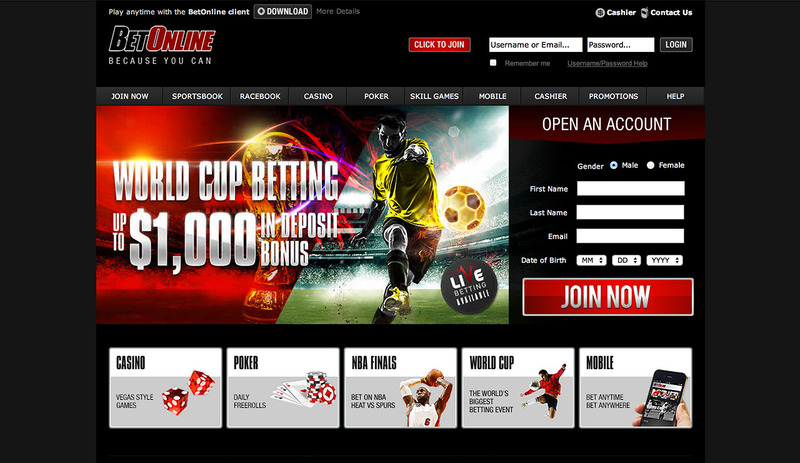 It has not always been easy to find an online sportsbook that is open to US punters and players but BetOnline is a name that is familiar to millions. The company has had an online presence since 1991 and they provide sports betting, horse racing bets, casino games, poker games and they now provide mobile options. The site has regularly been named in the most popular online sites with respect to player opinions and overall traffic received. You’ll note that the website domain is no longer the .com site, but ending in .ag with BetOnline being another site trying to place some distance between itself and the United States. The firm operates from Panama City in Panama, which has been called the “banking capital of Latin America”. This city provides a solid and reputable infrastructure for the site and there is a local government that takes the monitoring and regulation of offshore gaming activity seriously. At the point of checking, the sportsbook on BetOnline provided 17 different sports, a live sports betting section, a mobile sportsbook option and an area for future bets. The main focus is on the most popular US sports but there are sports from all around the world. If you are keen to find a good US home for soccer, darts, tennis and rugby betting, this site is as good as anything but it is the US sports that will be of most benefit to punters. When reviewing the site, the 2014 NBA Finals were in full flow, so it is natural that basketball was being heavily featured and promoted on site but the BetOnline.ag review suggests that basketball is always going to be a popular sport to bet on with this site. For a site focusing on US sports, basketball has to feature prominently. There are NBA, NCAA and WNBA options available for players. There was a lack of European basketball betting options but this may not be of interest or concern to US based basketball fans. For people that look to focus on domestic basketball, there is more than enough to choose from. The live in-play betting basketball options will keep you on the edge of your seat all game long and the mobile options means you can stay in touch with basketball games at all times. The site also served up a great deal of future bets for the 2014 FIBA World Cup, taking place in Spain at the end of August 2014, so there is an opportunity to place bets for future championships and games with BetOnline. 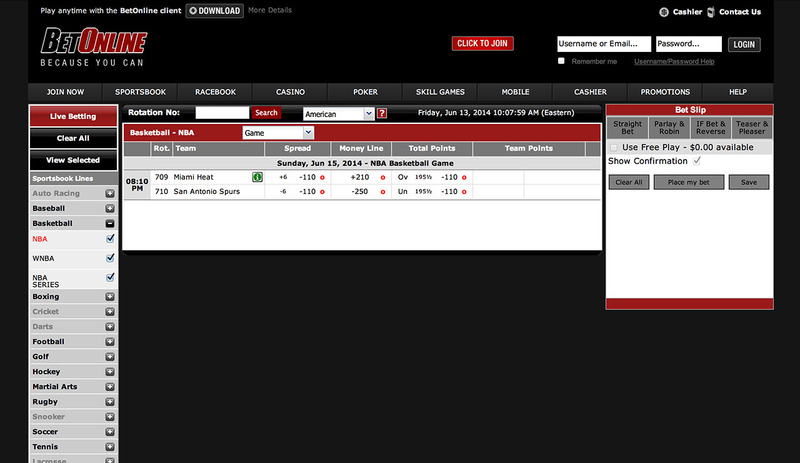 It is fair to say that BetOnline lives up to the expectations of a US based sportsbook. Alongside live betting and mobile betting, there are money line, spread, total points and team points available for the vast majority of matches. When live basketball games are in play, there are plenty of prop bets on offer to keep you involved throughout the course of the match. 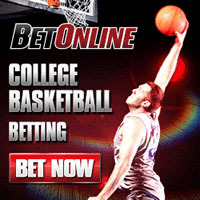 Some people might argue that there are other sportsbook with more betting options but BetOnline provides all of the key betting options for basketball and you can find everything you need instantly. This is really handy if you have left it to the last minute to place your bet or you are betting in-play. The sportsbook element of BetOnline.ag will be the main reason for most people to head to the site but there are plenty of other options available on site. The addition of casino and poker rooms is a big boon for the site, as is the ease of switching between the different disciplines. While the sportsbook element is the main attraction for most players, knowing that it is possible to enjoy all of your favourite gaming styles in one place, with one account, is definitely a big factor in why so many people opt to play with BetOnline.ag. In addition to the review of the site taking place during the NBA Finals, it also took place during the FIFA World Cup, being held in Brazil. You may not be the biggest soccer fan in the world but with thousands of dollars in soccer related bonuses available to new players, many people will find that it is worth getting involved with the game. However, if you don’t like soccer, don’t worry, as BetOnline.ag has plenty of promotions that are perfect for your gaming preferences. 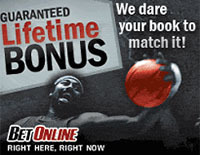 The strongest element of the BetOnline promotion comes with a 25% matched deposit bonus on every single qualifying deposit. This is a lifetime guarantee which means you will always get a warm welcome from the site. If you are yet to try out live in-play betting, there is a $25 free in-play bet to get you started. Similarly, there is a chance to earn up to $50 on a free play bet on your first mobile bet. If you lose, you’ll have your first bet refunded up to a value of $50 so there really is no way you can lose when you switch over to mobile betting with BetOnline.ag. BetOnline.ag also provides welcome bonuses for poker, skill games, horse racing and casino games. No matter how you intend to spend your time and money with BetOnline.ag, you’ll find that there are incentives available to help you enjoy yourself even more. While the site is focused towards US players, there are plenty of options available to fund your account. This means you can use VISA Person To Person, VISA, MasterCard, money order, Skrill, Neteller, Book To Book, Diners Club International, JCB, Discovery, bank wire transfer and cheque. The lowest possible deposit amount is $10, available with Neteller, although the standard minimum deposit amount is $50. As you would expect, there are fewer options with respect to withdrawing your funds, but there are still plenty of options at your disposal. You can choose from Person To Person, cheque, Skrill, bank transfer, Neteller and Book To Book. The minimum withdrawal amount is $25, which is available via Skrill and Neteller. The reputation that BetOnline.ag has developed over the years is well deserved and the site remains a strong choice. The BetOnline.ag review thinks that this is a site that is suitable for all sports fans and online gamers, while US basketball fans will find that there is plenty to keep them entertained and betting. The strong range of promotions on offer should ensure this is a site worth checking out.